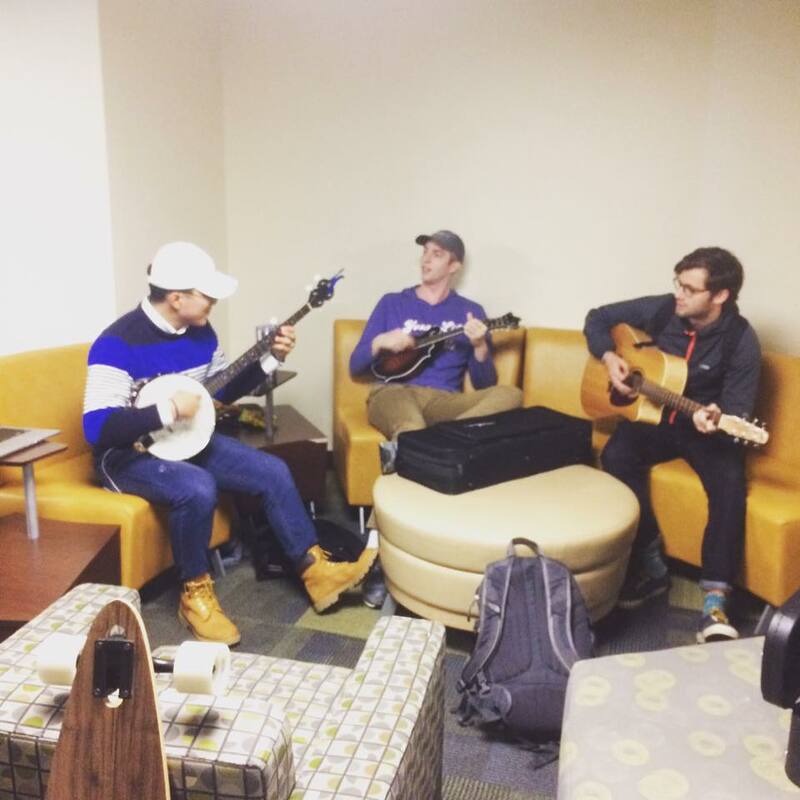 Every Monday the Impact LLC holds Coffee House in the main lobby of South Russell. 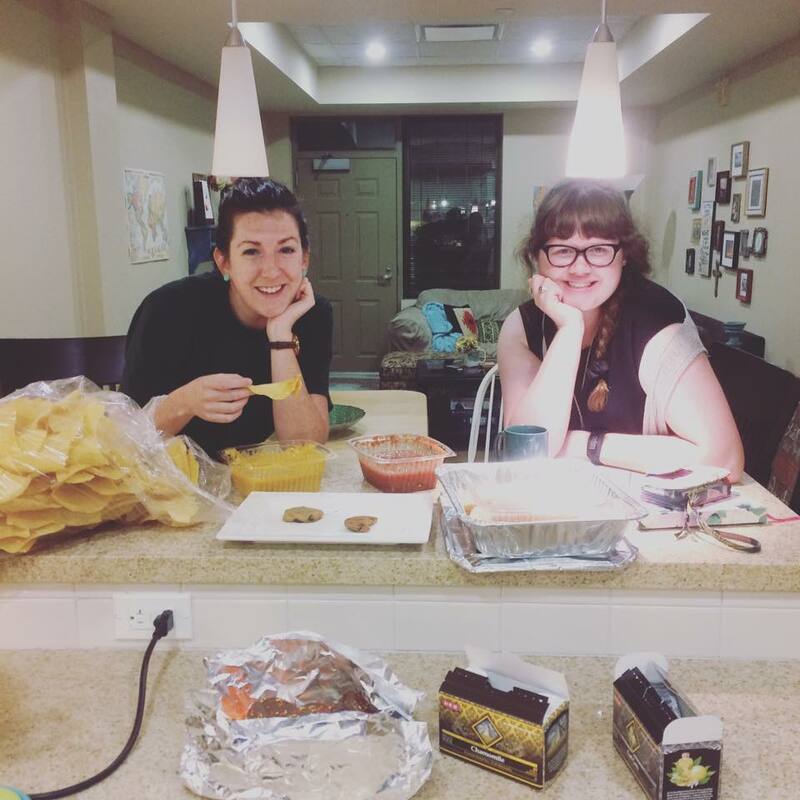 Each week is a different theme with food and drinks. This event is a great opportunity for students to create connections with their peers, mentors, and faculty. 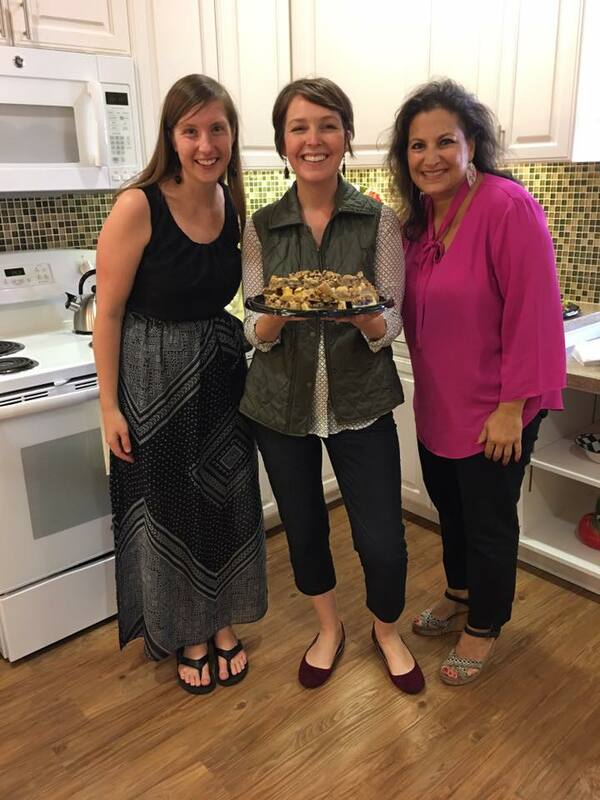 Once a month our Faculty in Residence, Dr. Mona Choucair, opens her apartment home within South Russell Hall for students to come spend quality time and enjoy food with her and her guests. 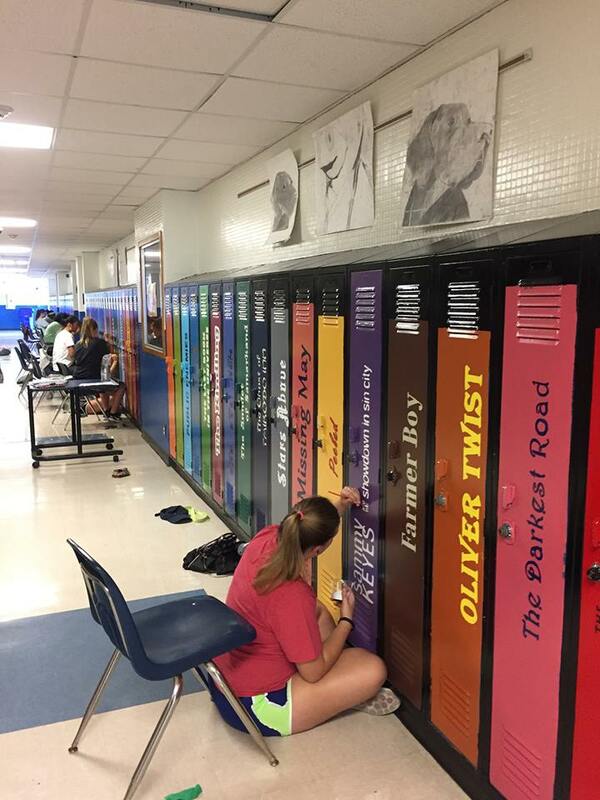 Here, students get advice on how to be successful in college and make lasting relationships. 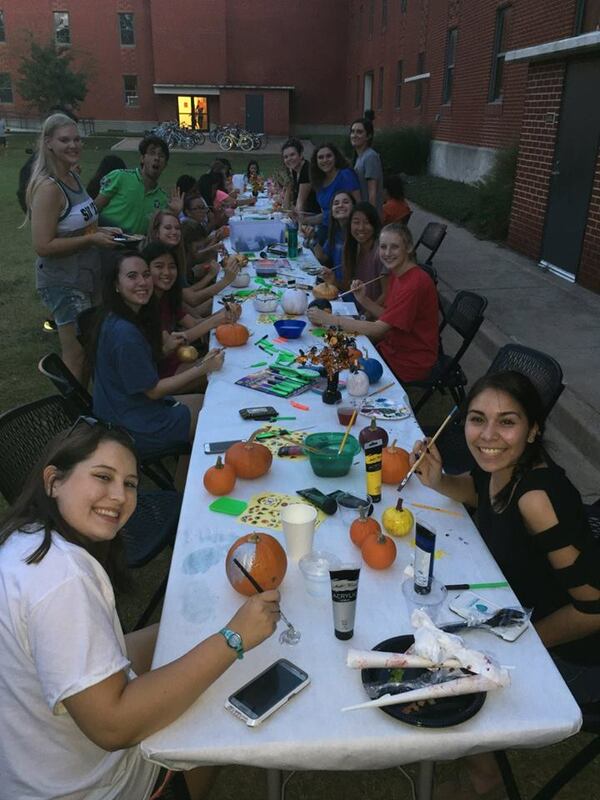 During the fall semester the Impact LLC fills the South Russell courtyard with games, pumpkin decorating stations, and the residents' favorite fall treats. 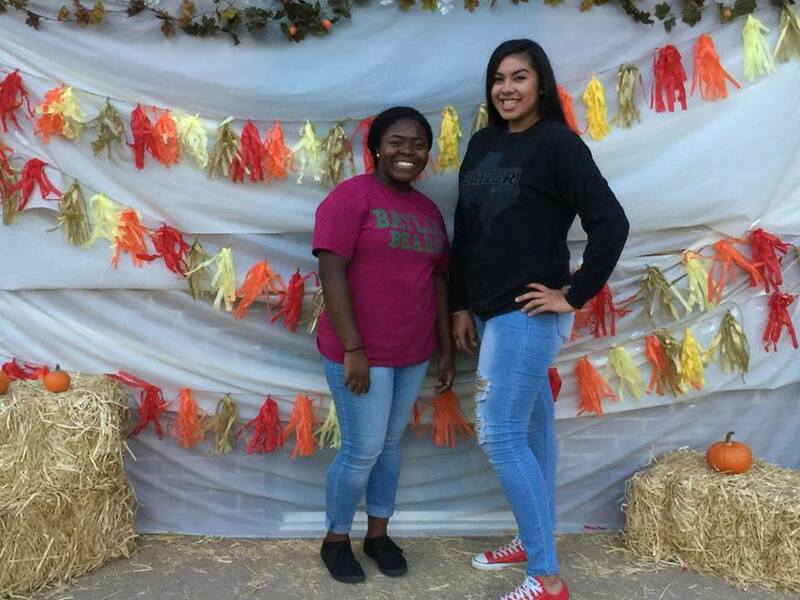 Students have the opportunity to be a part of these festivities and socialize with residents, as well as faculty/staff and their families from the hall and University. 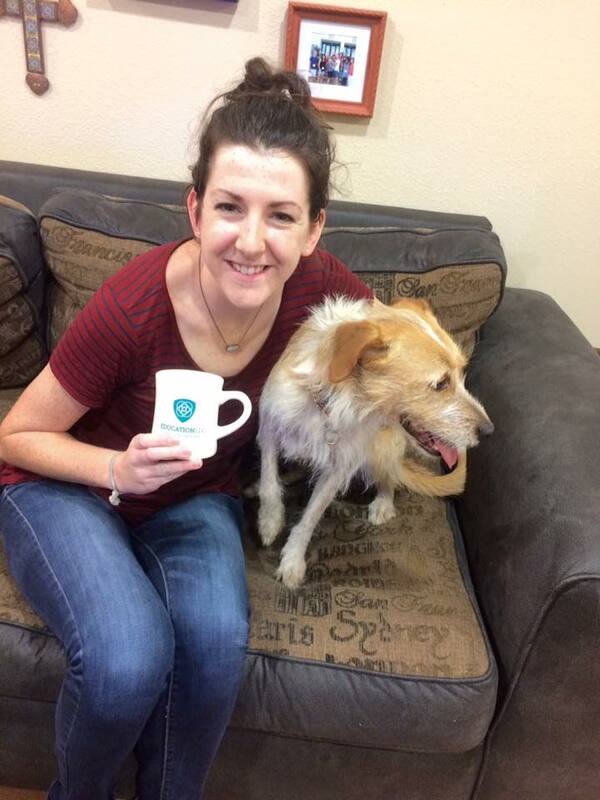 Our Resident Chaplain, Laura Roberson (shown above), hosts a weekly Bring-Your-Own-Mug and Book Study event in her South Russell apartment where residents can visit, drink coffee, and spend time connecting with one another outside of classes. 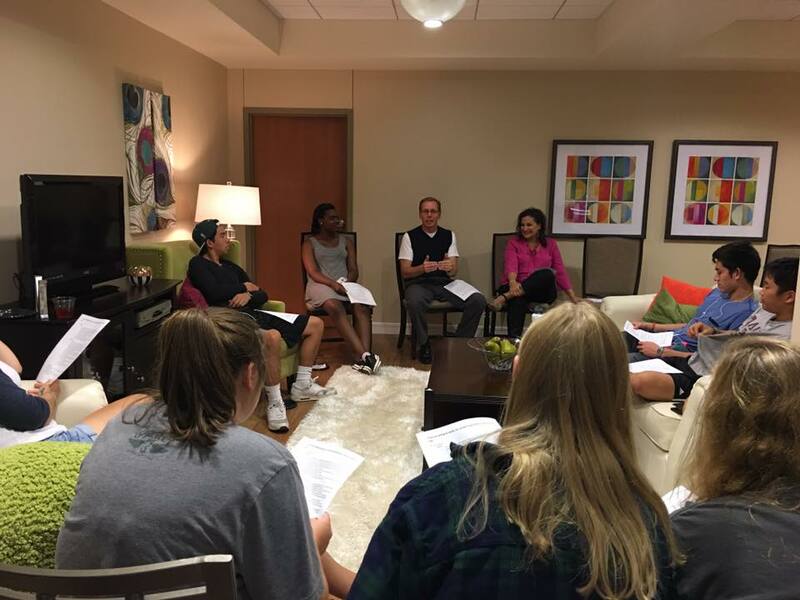 Every Fall and Spring the Impact LLC takes a group of residents to assist local businesses, non-profit organizations, and schools through Baylor's Steppin' Out Program. 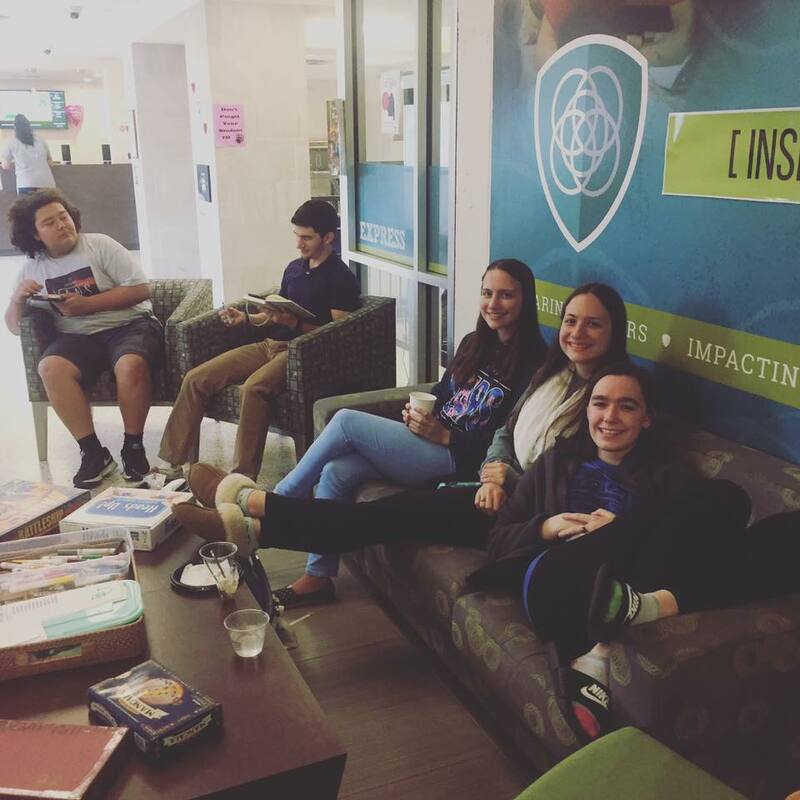 Once a month the Impact LLC reserves a couple hours in which residents can come hang out and not have to worry about school work. 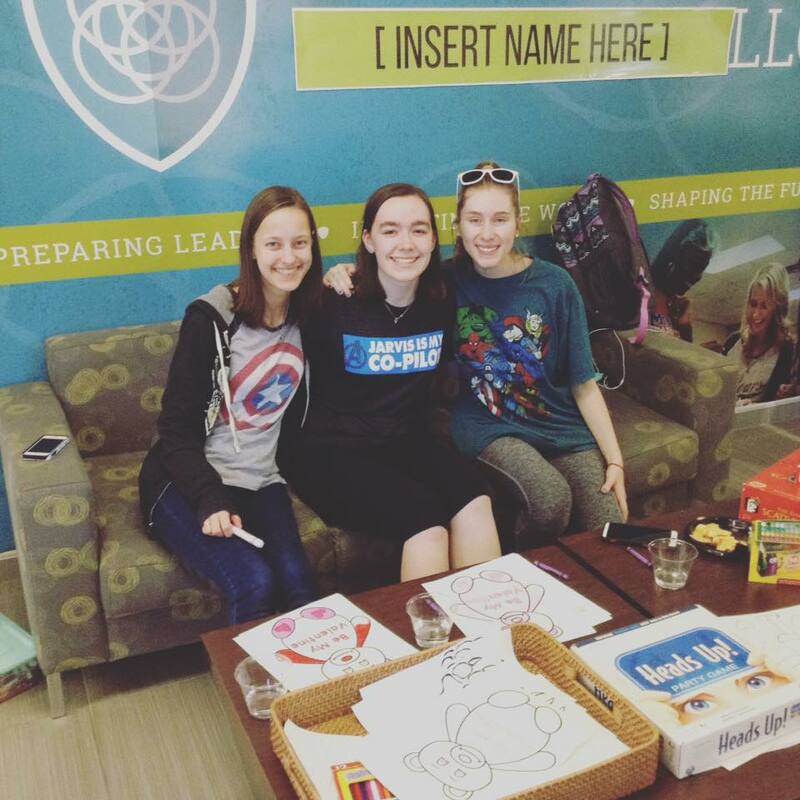 This is a great way to meet fellow residents and make connections with peers. 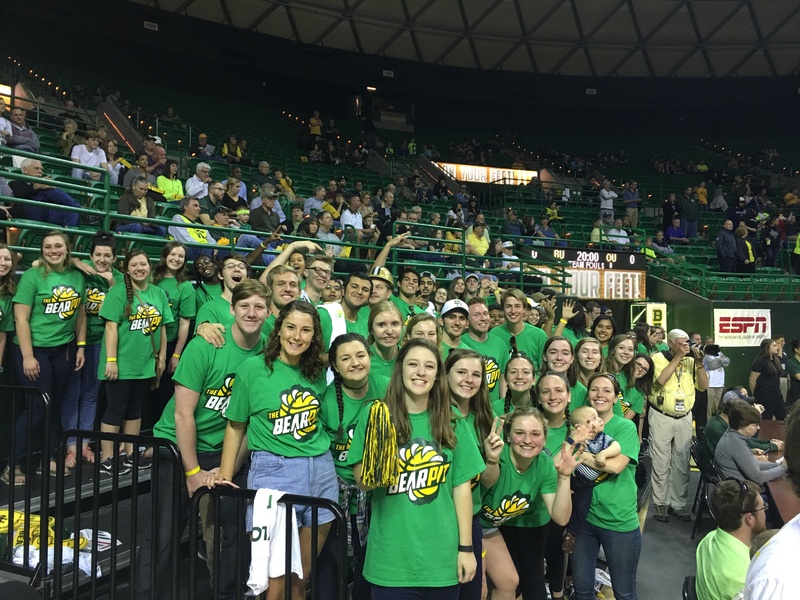 Starting spring 2017 the Impact LLC is recognized at one Baylor basketball game. Student's can sign up to be a part of this recognition and are able go down on the court during the game.